Still making Christmas presents for everyone, I'm getting stuck now, I've made heaps, but still stuck on what to make my family! 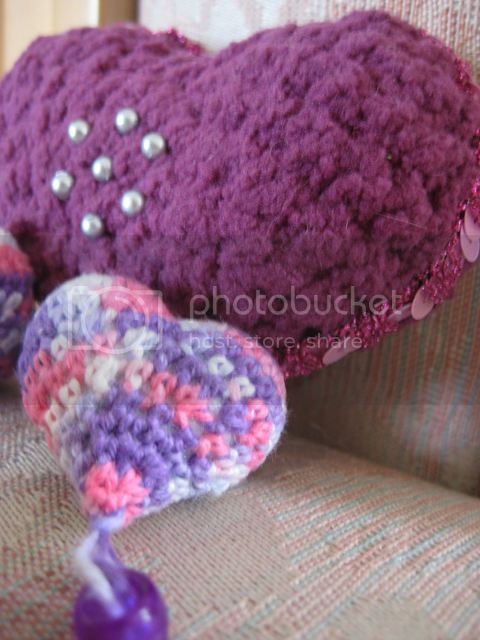 The big heart is a pincushion. I used a 5.0 hook and some fancy slightly fluffy wool, which was hard to crochet! I trimmed it with some pink sequin trim I bought from Spotlight. 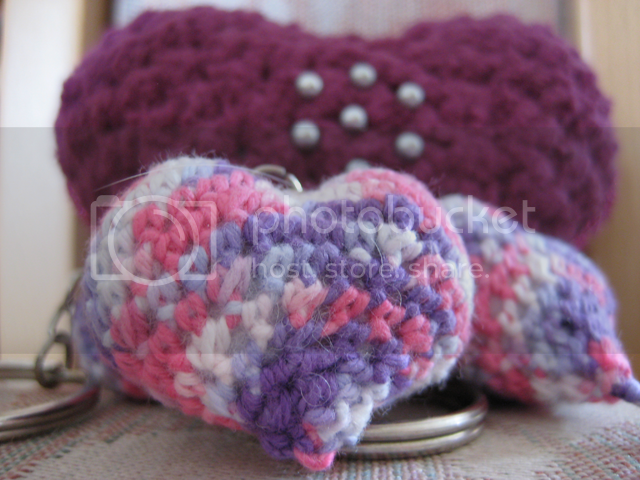 The small hearts I used some variegated crochet cotton, and a 2.25 hook. I attached some keyring chains to the top also. The basic pattern I used is here at Pepika. For a couple of the small hearts I modified the pattern ending, I didn't end the heart so suddenly, I added an extra few sc stitches here and there to give the hearts a more pointy base. Sadly I can't remember exactly what I did with them, because I was just experimenting! 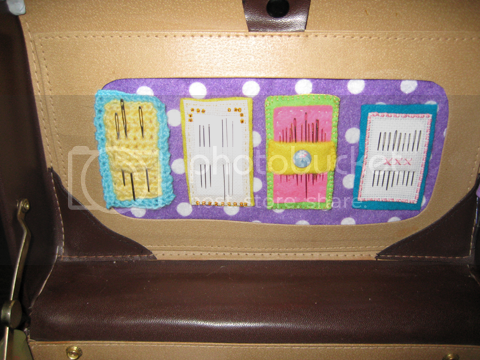 I recently reorganised my craft things, and made myself a sewing kit out of an old make up bag I bought years ago. These are my needle holders: where the mirror used to be. I've got magnetic strips running under the purple felt, and another stuck to the back of each of the needle collections, so they're easily removable. I separated the needles by type: wool, beading, general, cross stitch. I'm still finishing the pincushion and the rest, but these took so long to do, because I kept changing my mind!